Artificial Intelligence is the future of technology, with companies large and small – as well as governmental agencies, universities, and NPO’s getting into the mix as well – looking to pioneer new solutions in the world of AI to gain a competitive advantage in the middle of the most competitive world that’s ever existed. Singtel, a Singapore based company, is committing to invest $42.4 million to construct a brand-new R&D laboratory in Singapore, working under a 5y ear public/private partnership to help improve the odds of Singapore companies and organizations developing the next big leap forward in the world of AI, data analytics, smart technology, and robotics. This new laboratory is being called the SCALE at NTU. This organization is going to be constructed on the NTU grounds, making it a part of one of the most prestigious and influential universities in all of Southeast Asia. The National Research Foundation of Singapore is also contributing significantly to this new initiative, working in partnership with Singtel to find ways to improve the R&D technology that will be such a big part of this organization. The new laboratory is designed to give researchers the opportunity to develop new applications, innovative new technology, and new resources in the world of AI and “future proof” technology. This is all being done in an effort to improve public safety, redesign smart urban areas, overhaul the world of transportation, and provide game changing new solutions in the fields of healthcare and mass production that have the opportunity to transform not just the Singapore community but the global community as a whole. The new laboratory isn’t shooting for anything less than the stars. Initial plans for this new laboratory from Singtel will have about 100 full-time researchers calling this their home base of operations, a mixture of Singtel employees, NTU employees, teachers, and students. About 200 more research engineers and students will also be trained to take advantage of all the resources in the laboratory, and there is hope that this number will dramatically expand as the technology, tools, and resources– many of which should be pioneered by this laboratory – are made available. Singapore has established itself as one of the most important technology first countries on the planet. Their startup community rivals Silicon Valley already, the government and the private sector in Singapore are investing heavily in these new and emerging technologies, and businesses from around the world are looking to set up shop in Singapore to take advantage of all the financial and infrastructure benefits that this Southeast Asian nation has to offer. 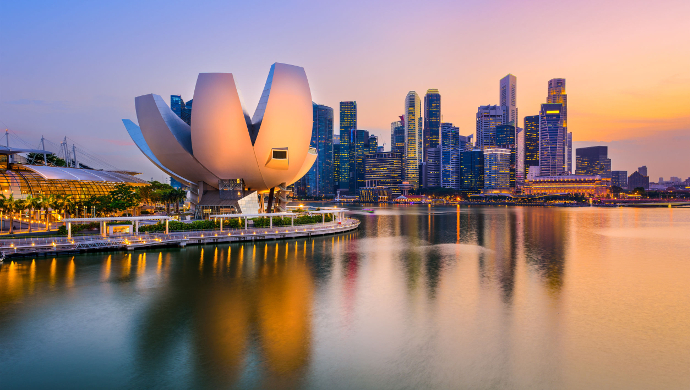 Singapore may not be the biggest country on the planet, but it is quickly becoming one of the most important, one of the most influential, and one of the most forward thinking nations in the global community. New laboratories like this one from Singtel and NTU prove that Singapore is going to be a major driver for future success for decades and decades to come. Morris Edwards is a content writer at CompanyRegistrationinSingapore.com.sg, he writes different topics like Setting up a company in Singapore- Sole Proprietorship or Partnership?, FinTech Startups in Singapore, Singapore and London are the capitals of fintech in the 21st century and all topics related toBusiness and Tech, if you are interested setting up company in Singapore visit our website for more information. Why do you need Phenibut for treatment?